Click the button below to add the Messianic Version (Jewish) Bible Studies for a Firm Foundation to your wish list. 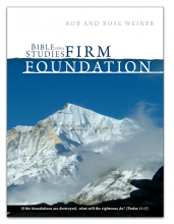 Now Bible Studies for a Firm Foundation is available for Messianic congregations. Bible Studies for a Firm Foundation has been a vital part of the training we give to new believers here at Bethel in Redding, CA. We also use this to introduce more seasoned believers to the truths that are important to us as a church family. It truly provides a solid foundation. 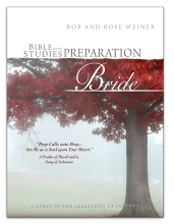 I’ve used these materials for well over 20 years and have been very thankful for Bob and Rose Weiner’s labor of love in writing this study guide. 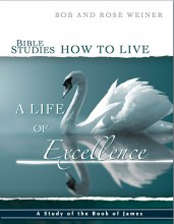 "If I were a pastor or rabbi, I would want every one of my members both young and old to study, absorb, and apply the basic truths found in this amazing workbook. I can assure you I would be leading a world changing congregation." Many top pastors and rabbis have taken Dr. Wagner's challenge and have found that the members of their church have been launched into a deeper walk with God, into great faith, and into new levels of productivity, commitment and financial prosperity. "I highly recommend Firm Foundations for every new believer to build theirfaith and help them grow and thrive in their relationship with God. Mature believers will also benefit from these studies. They will renew their spiritual foundations and their covenant with God and grow deeper in their faith and the power of the Holy Spirit." "We can't say enough about your Bible Studies for a Firm Foundation and what it has mean to our spiritual walk... it has been life changing! A few years after coming to Yeshua we decided to go to seminary. It was intimidating, since we had only been believers for a few years. However we were amazed at the 'firm foundation' we had from your study and realized that we were much more prepaired and had a better understanding of basic Bible principles than most people there!" This revised addition is the best and very detailed! It is laying a foundation that is hands down the best on the market. We are doing a study with new believers and the growth we see in them is remarkable. We will keep these on hand for new believers to learn and share what they believe.